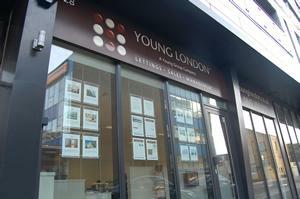 Based in SE1, London, Young London offers a full range of sales, lettings and management services. We specialise in renting newly built properties across London. Young London currently has more than 350 properties under management, right across London and has found homes for more than 500 tenants this year. Young London is proud to have been shortlisted for the national Estate Agent and Letting Agent Awards, 2009, voted for by landlords is recognition of the service that they've received. A qualified accountant, Neil has more than 10 years experience in global corporate finance having worked with companies such as Thomson Holidays and British Airways. In 2000 he was appointed European Chief Financial Officer at Highland Partners, before leaving to found Young Group. Neil works closely with his management team to ensure that Young Group operates effectively to manage clients' investment assets and to ensure that all Group companies remain focused on delivering excellent service in all areas, whether it be in the realm of financial advice (Young Finance), investment opportunities, property management (Young London) or furnishing (Young Furnishing). A qualified surveyor, Sylvana began her career specialising in commercial property with SEGRO before moving on to focus on residential property in 1993. Sylvana has experience of all aspects of residential development, including valuation, interior design, lettings and management having worked, amongst others, for DTZ Tie Leung in Hong Kong and The UK Valuation Office. As Young Group's COO, Sylvana oversees all operational aspects of the group's companies as well as heading Young London. A qualified accountant, David began his career with Lloyds TSB before moving to British Airways where he worked for 12 years. In 2000 he joined Hays Plc where he was pivotal to the successful £200 million buyout by Iron Mountain. David was subsequently appointed Head of European Finance before moving to Young Group in 2005. David heads Young Group's team of Portfolio Managers, ensuring that landlords portfolios are developed to suit their own specific circumstances, in accordance with their individual risk profile and investment holdings in other asset classes. An important facet in managing clients' portfolios effectively is ensuring that they remain appropriately financed and David oversees the operations of Young Finance, one of Young London's sister companies. Conny has more than 10 years experience of the residential property sector, managing estate agencies across Surrey and West London. Prior to taking the helm at Young London, Conny's role involved negotiating directly with developers to secure investment property on behalf of private clients in locations as far flung as the USA, Panama and Dubai. Directly involved in negotiating corporate tenancies with Young London's larger clients, Conny also overseas all aspects of Young London's day-to-day operations as well as managing the agency's sales, lettings and property management teams. A business graduate having worked in residential property management for more than 8 years, Christo not only brings experience, but also a conscientious and level headed approach to what can be a challenging role. Christo is responsible for managing Young London's legal responsibilities and those of our landlords, as well as ensuring that tenants are well protected. In the rare event of a deposit or rental dispute, Christo works to resolve and the issues as quickly and amicably as possible. Christo leads the property management team overseeing the prompt payment of rent, accurate inventories and swiftly organising any maintenance issues. Ashleigh began her career in property management with a large well known London agency, giving her a good grounding in all aspects of property lettings and management. She has working extensively across much of London, including North London, South East London, The Docklands and Canary Wharf, The City and Square Mile, Kings Cross and Southwark. Ashleigh's favoured London location is Canary Wharf which she believes offers "an entire lifestyle, not just a place to live." Ashleigh's role is focused upon finding clients the perfect property for their needs - so it's vital that she builds a rapport and quickly understands exactly what they're looking for. Knowing that she's found clients a new home that matches their needs, lifestyle and budget is the favourite part of Ashleigh's role. Yashi has been involved in lettings and property management for the last five years and works alongside Young London's property manager, Christo Du Plessis. Yashi enjoys a varied role and her main responsibilities involve compiling detailed reports of the contents and condition of the property on check-in and check-out. This is an important and integral part of the lettings process that supports recent legislation regarding tenancy deposits. Yashi is just a phone call away to offer help and support to tenants who experience any difficulties with their property/tenancy and is responsible for lettings administration, snagging of newly built properties on behalf of owners and arranging maintenance to deal with property wear and tear or damage, ensuring that tenants' homes are in the best possible shape. Please contact us to discuss your requirements and our fees.